This past week brought with it all sorts of conversations about the CCSS: there were grade level conversations, discussions that spanned K- 8 articulation, a district leadership conversation, and content-specific conversations. We had chats about the depth of knowledge and how it relates to instruction, several work sessions across grades 2 and 3 focused on number and operations in base 10 and another work session focused on the grade 8 Domain of Functions. We had conversations that explored the best way to share information with the community at large, discussions about how we might go about adjusting homework so as to include families in their children’s learning, and opportunities to try out tasks that had us exploring how we can begin to adjust our practice so that kids are taking charge of and responsibility for their learning. One of the conversations had a group of grade 2 teachers exploring a task that asks kids to reason, explore and use computation strategies, as they build fluency of addition facts, on their way to automaticity. We call the game Exactly 20. The Materials: 1 deck of cards. We only use the cards Ace -9 and we need 4 sets of Ace – 9. The ace is worth one, and all of the other cards 2 through 9 are worth their face value. Depending on what your students need, you can use either regular decks of cards or decks of ten frames. Your materials selection depends on what scaffolding and support your kids need in order to play and be in the conversation. As we all know, if children are not participating in the conversation, they are not learning. Directions: Kids play in pairs. Set the deck face down on the table. Each player gets 4 cards. Player 1 has these four cards. Player 2 has these four cards. Remember, the ace is 1. Now, each player selects the 3 cards that he/she likes the best (that means the 3 cards whose sum is exactly 20 or closest to 20 without going over). 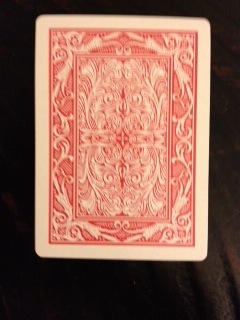 The fourth card is discarded. Player 1 keeps the 8, the 2, and the 9. Player 2 keeps the 9, the 1 (ace), and the 8. After setting down the set of 3 cards he/she is keeping, each player states the sum and explains how the sum was determined. This is a great place to use sentence frames. The players then write their equations on the record sheet. Next, the players must figure out how many points they each earned in round 1. 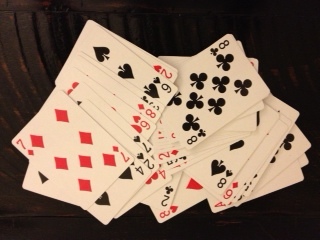 The number of points each player earns is determined by figuring out how close the sum of each set of 3 cards is to 20. Player 1’s score is one because the sum of the 3 cards is 19, and 19 is one away from 20. Player 2’s score is two because the sum of the 3 cards is 18 and 18 is 2 away from 20. After round 1, Player 1 has 1 point and Player 2 has 2 points. The scores for round 1 are written on the record sheet. The cards from round 1 are put in the discard pile with the cards that were discarded at the beginning of the hand. 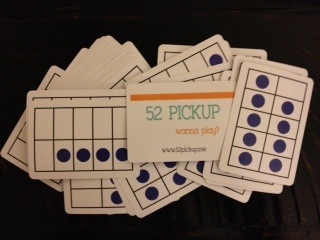 Each player takes 4 more cards and play another round. This is repeated until all 7 rounds have been played. The player with the lowest score at the end of the 7 hands of play wins. Hope you enjoy playing Exactly 20 with your kids.